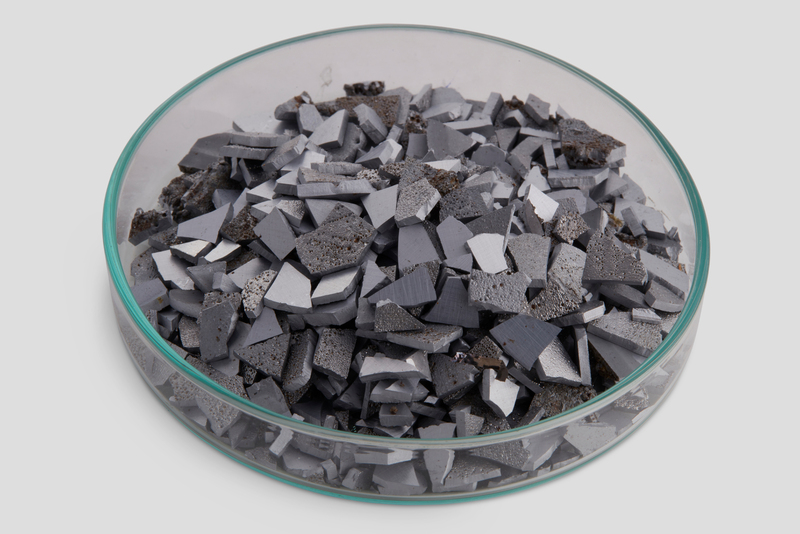 Chromium in lump format is most useful in the steelmaking process, and in the making of super alloys–imbuing alloyed blends of materials with properties such as shine, hardness and corrosion resistance which are inherent to Chromium. Chromium is a steely-grey, lustrous, and hard metal that has a high melting point. It resists tarnishing and exhibits a mirror-like polish. When left exposed to air, Chromium metal is passivated by oxidation, forming a thin and protective surface layer. This layer, while only a few molecules thick, is very dense, and prevents the diffusion of oxygen into the underlying metal. This protective, insoluble oxide coating is what makes the metal inherently resistant to corrosion, and along with the metal’s hardness, contributes to the qualities of Stainless Steel (an alloy which contains Chromium). A significant development in steel production has been the discovery that steel can be made highly resistant to corrosion and discoloration by adding metallic Chromium and creating Stainless Steel. The making of stainless steel and chrome-plating are among the primary uses of chromium. Chrome plating is the technique of electroplating a thin layer of chromium onto a metal object. This can be done for either decorative purposes, or to increase surface hardness and corrosion resistance. Other applications of Chromium include the tanning of leather, the making of dyes, pigments, and wood preservatives.